Instant photography is so cool. 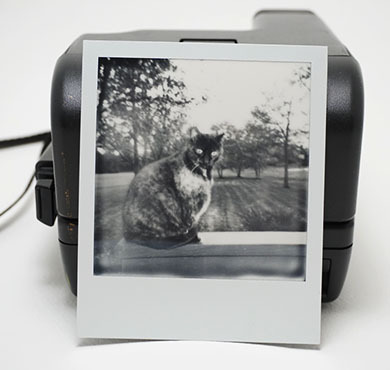 Compliments of Fujifilm, The Impossible Project & of course hipsters, instant photography is making a big comeback. The only problem is that it's kind of expensive. Not only relative to digital, but just expensive. That aside, I have quite a few Polaroid cameras or all types that I've picked up all over. Recently I broke out a Polaroid OneStep closeup. I had planned to use it for behind the scenes shots during a recent studio model shoot, but ended up using an Instax. So, I had gone ahead an loaded it up with a pack of The Impossible Project B&W 600. I purchased it at Roberts Camera for $25 for 8 shots...yikes. 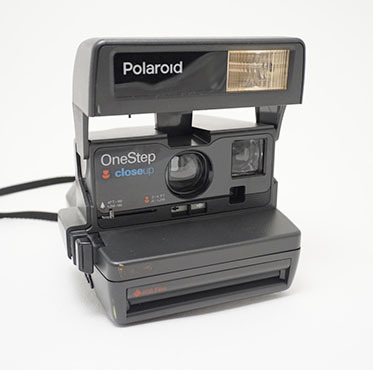 The OneStep is a very simple Polaroid, just like all are. The feature with this camera is a slider for normal distance (4ft to infinity) and closer (2-4 feet). When you slide the slider a plastic "macro" lens slides over the lens. The only other function is the light / dark slider under the lens. That's about it. Load it with some film, point & shoot. The built in flash will flash if needed. There is no way to turn the flash off if it fires. This is a fun camera and with the Impossible Project film you can grab one from your grandparent's closet or at a flea market and you're good to go. Enjoy REAL instant photography. Here's a photo of Tammy the cat sitting outside on our deck. Shot about 5 feet away with the light / dark slider in the middle. The flash fired.